The Dallas Cowboys Divisional Round loss at the Los Angeles Rams is still fresh on the minds of their players, staff, and front office. So much so that the team had to fan the flames on a Jason Garrett comment expecting Offensive Coordinator Scott Linehan to return. Garrett himself walked back this "report" once Stephen Jones noted it's still too early for any coaching staff changes. The focus will remain on Linehan's post until it's removed or the Cowboys OC is retained, but one coordinator the Cowboys now expect to keep is Rod Marinelli on defense. Marinelli himself disputed the season-long belief that this was likely his last as the Cowboys defensive coordinator. With Passing Game Coordinator Kris Richard not taking any of the three HC positions he interviewed for, Marinelli doesn't have to worry about shuffling his title to accommodate Richard - who called the plays from week one this season anyway. Rod's title does include his specialty as defensive line coach though, a unit that the Rams dominated with their offensive line to a historic degree. The Rams' season-high 273 rushing yards was provided by both Todd Gurley and C.J. Anderson surpassing 100 yards on the ground, the first time in team history they've had two backs reach this mark in a single playoff game. Rams HC Sean McVay hardly had to reach into his vaunted 'bag of tricks' to expose the Cowboys defense in a way they hadn't been all year, but there was still an element of brilliance in his offensive game plan. It came out after the game that the Rams picked up on the keys the Dallas defensive linemen used to signal stunts and twists before the snap. While this is nothing more than just great scouting yielding an unforeseen advantage, it's left the Cowboys with more than enough time to ponder what went wrong in the Coliseum. The answer to this may be nothing other than the coaching questions the Cowboys are already considering. With Richard's interviews in Tampa Bay, Miami, and New York coming at the beginning of the week leading up to game day, it's possible Marinelli had a larger say in the Cowboys preparation on defense. It was Marinelli's defense that conceded 412 yards to the Rams in 2017 in a loss at AT&T Stadium. Matching him up with McVay leaves a lot to be desired, while Richard helps bridge this gap - something he was seen desperately trying to do on the sideline with a battered Cowboys defense. As each day of the offseason passes, a change at either coordinator position becomes less likely in Dallas. On offense, the play caller has more than a season's worth of evidence showing the deficiencies of the Cowboys attack. In a league fueled by recency bias however, Marinelli certainly didn't leave his best performance on the field in Los Angeles. Somewhere in the middle of this is Jason Garrett, safely in place as the head coach that should be personally trying to upgrade his top two assistants however possible. Marinelli signing up for another year makes this hard on defense, though Richard should resume play calling duties next season. Again, this leaves the onus of the Cowboys improvements for 2019 on the offensive side of the ball, something that'll be realized when the shock of their defense letting them down in the biggest game of the season is gone. 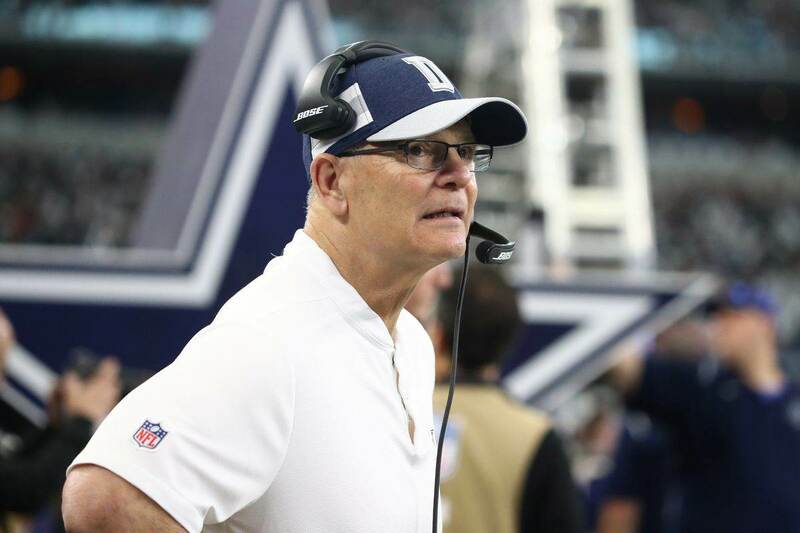 Tell us what you think about "Did DC Rod Marinelli Have Increased Role in Cowboys Loss at Rams?" in the comments below. You can also email me at Sean.Martin@InsideTheStar.com, or Tweet to me at @SeanMartinNFL!